At EA, we believe in a world where people make money by following their dream rather than by working a job. A world where Balanced Scoresheets are redundant as collaborators (not employees) take up a project because they understand and believe in the objectives anyway. A world where leadership classes are outdated as people follow their inner calling. Finding one's inner calling itself has become a challenging endeavor in a world of expectations from society, parents, peers and impressions. And even when identified, maintaining the vision and turning the calling into an emotionally and financially rewarding profession can be tough. Our aim is to share the tools and methods we use to assist us in this. We believe that the correct career choice is made by the individual by being honest to themselves, aiming at their best while being realistic. The only way to get to be in a state where "I do not work as I do what I love" is to find out one's life purpose, which can be quite challenging. There are three exercises several of our team members use to get closer to finding/defining their life's purpose. This exercise is adapted from S. Covey's 7 Habits of Highly Effective People. This is suitable to find out the long-term goals in life. Imagine you have completed your very happy and successful life and you have now passed away. Your body is barred as usual but your soul consciously participates in your funeral. You now hear several people you highly appreciate summarizing your life in a speech. Who would be speaking about you? Any people you know, would want to meet or imagine? How would they describe your character? How would they describe your biggest accomplishments? In anything they say, is there something that moves you to tears? Do they say something that makes you laugh? Do they say something about your strengths? This simple exercise can assist in understanding if you are doing the right thing right now and if you are on the right track. Also, it can help in taking decisions free from fear. With "right", we mean whatever suits you. As yourself: "If now, in this moment, I had all the money in the world and had bought anything that I could ever desire, what would I be doing now? How would I decide?" If you would be doing the same, then you are exactly on the right track. The further your present activity is from your ideal situation, the further you are from your path. 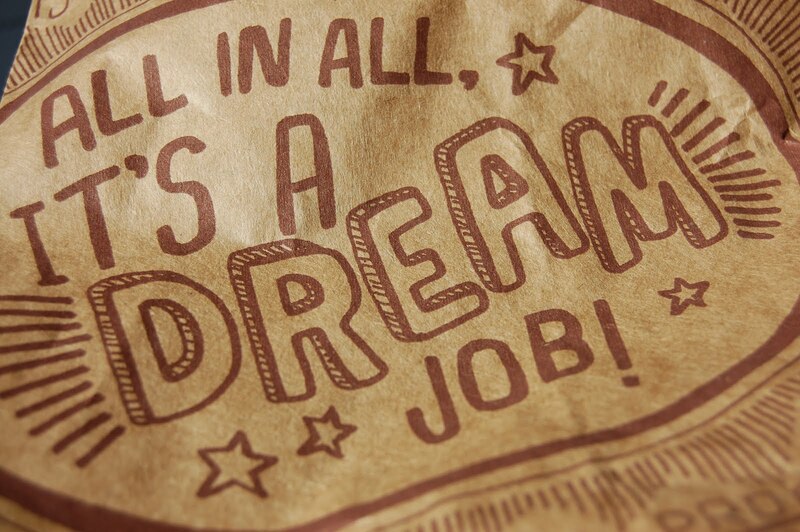 Many of us struggle when we try to find out our dream job. If we have only worked in a few industries and teams, how can we know our dream profession? Thirty years ago, nobody could have had e-marketing specialist as a dream job because the internet did not exist! Instead, try to define your ideal day. I would wake up at 7 am full of energy because I am excited to start a new day. (One potential conclusion: On-call surgeon is not the ideal job). I go to the gym for 3 hours and get back home at 11 am. (One potential conclusion: An office job is not the ideal job). I sit down and spend one-on-one time with several people until sunset. (One potential conclusion: My ideal job could be to be a therapist). I finish work at 6 pm. (One potential conclusion: Owning my own business is not realistic unless I make a lot of money in a few hours per day). All this together can give insight into your "dream" career and help understand any missing education, training and experience.